Spark!Lab is where young museum visitors become inventors. Photo courtesy of Stephen Elliot, Mud Productions. In a recent Harris Poll of US workers, only some 22 percent described themselves as curious at work, while 66 percent reported facing barriers to asking more questions, and a meager 12 percent of respondents felt their employer is “extremely encouraging” of curiosity. However, reflecting an era in which innovation is not just a buzzword but also an organizing principle for corporations and consumers, a significant majority view generating new ideas as an important part of their job. So what is going on? Are employers stifling curiosity? Is innovation at risk? At the Lemelson Center, 2015 marks two decades of interviewing inventors and building and analyzing their archives. We also have research projects underway studying sustained innovation, both by individuals and in industries that continue to invent and innovate over the long wave. What we have learned about inventors speaks to the curiosity study in several ways. First, inventors are insatiable and unstoppable in their curiosity and their quest for ongoing improvements. They are never done tweaking and seeking to improve their inventions. Beyond their own descriptions of this behavior, one sees it in repeated patent emendations filed with the USPTO. 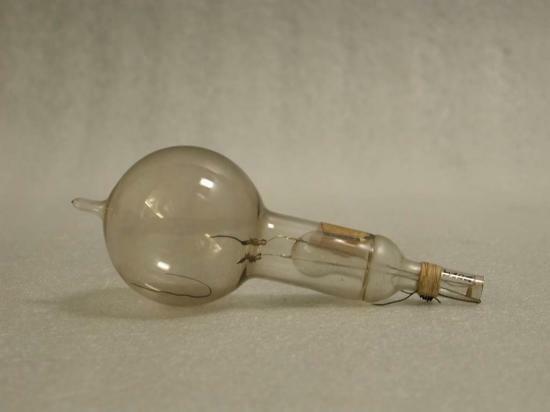 We often think of historical inventors as having a "eureka" moment for a specific technology; a classic example is of Edison and the light bulb. But while historians are correct to draw attention to the very lengthy sequence of experiments Edison undertook to identify the right filament that would light without burning up, the bigger story is that inventors also often envision entire systems. Edison was a system-builder for electrification and the light bulb was engineered to run at low voltage but high resistance even as he envisioned a 110V system that would become the US standard. Curiosity is key to the invention of products and systems, but in a sustained, disciplined, and programmatic way. Second, inventors and innovators are similarly frustrated with the way things work at present. They see flaws all around them and are curious to try out changes, whether for products or for less visible technological systems. Even though we live in an era of rapid technology change, a striking number of our transportation, communication, and other technologies do not work well for most people, creating a huge opening for more inventive activity and purposeful improvements to the quality of life. 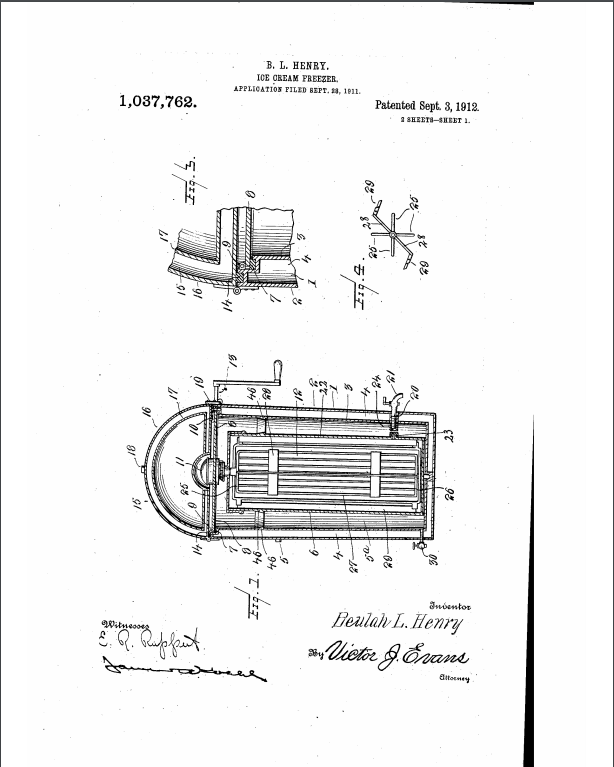 Patent drawing for Beulah Henry's first patent, awarded in 1912 for a vacuum ice cream freezer. But when Joyce Bedi, the Lemelson Center’s senior historian, started to research Henry, almost nothing was known about her or the diversity of her work. Curiosity and inventiveness is not a proprietary domain; it should be supported in people regardless of gender, race, or ethnicity. That seems obvious, but less apparent is that there are many great inventors who have been ignored in a quest to identify the most important and most transformative breakthroughs. To advance curiosity as a step toward promoting innovation, we need a diverse pool of role models identified across the historical record. Beyond the findings about what drives and motivates inventors and who they are, it is important to add that they learn and experiment in tactile ways. Even as science and engineering move from messy laboratories to sterile computer modeling and simulation, curiosity drives inventors to build prototypes and tinker with physical objects. At the Lemelson Center we created Draper Spark!Lab so that children (and their parents) would have the opportunity to invent solutions to challenges that we pose. At present, for example, we have them build items that make sounds and test them out in an environment rich with historical examples of musical instruments and devices. Our fundamental goal is to convey that everyone can be inventive and invention is a process. Both invention and innovation derive from a healthy curiosity and an environment that supports asking questions and tinkering. Coming back to the poll results showing low levels of workplace curiosity and a failure of US employers to support questioning, I would worry if people working at the Lemelson Center gave similar answers. I want our group to ask questions and experiment with new types of exhibitions, educational programs, and ways of communicating our research and findings to the public. More broadly, the Harris Poll suggests that we need better data on the somewhat squishy concept of curiosity. For example, a study that mixes self-assessment with observed activities to understand attention and questioning in different workplaces and among different demographics would give us a better basis for identifying incentives and activities to stimulate more curiosity in the US and worldwide. Finally, while it is tempting to blame schools for crushing the innate curiosity we can remember from our own childhood or observe in children, the black-boxing of many technologies may also be contributing to a decline in curiosity. I love taking apart older electronics—a 1950s era tuner and turntable is a current project—but am stymied by solid state devices. As we have progressed with technology, we have made it all but impossible for non-engineers to undertake tactile learning. So let me challenge readers: find a device from before about 1960, take it apart, and put it back together. Does it work the way you thought? Without adding electronics, is there a way you would have liked to make it better? Welcome back to your curious self. "A Study in Feminine Invention." Scientific American 131, no. 4 (Oct. 1924): 260. For additional information on Beulah Henry, see Vare and Ptacek, pp. 199-200; Macdonald, pp. 295-297, 301, 308-309; and Autumn Stanley, Mothers and Daughters of Invention: Notes for a Revised History of Technology (Metuchen, N.J.: Scarecrow Press, 1993), pp. 611-619. Everyone thinks of light bulbs when they hear Thomas Alva Edison's name. His creative genius, though, came through in his numerous other inventions, from the electrical power system and the phonograph that could record and play back sound, to motion picture technology and storage batteries (he believed in electric cars! ).